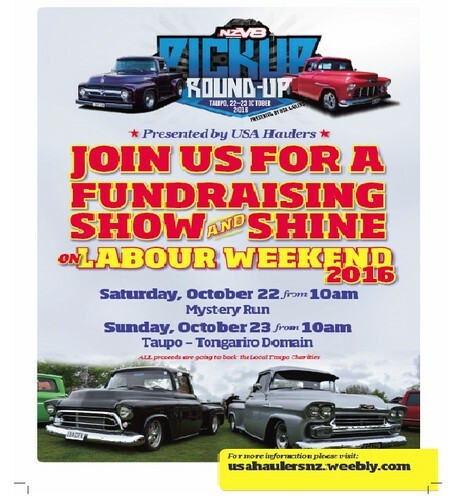 The Classic American Trucks, Pick Ups are on a weekend meeting and greeting around the Lake Taupo and surrounding districts area. We are a group of people who like to enjoy our wonderful trucks by using them as much as we can. This year's donations and fundraising efforts will be put back into the Taupo and surrounding districts for distribution. So come along and vote for your favorite truck, their ages start from 1930 through to 2016 something for everyone.